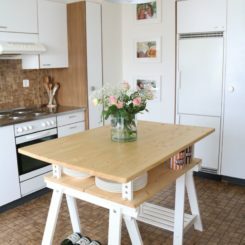 A lot of IKEA hacks are not about affordability since IKEA products are actually pretty cheap and great. They’re about customization and the fact that the very fact that everyone can have the same product means that the item is no longer special. That’s when these hacks come into play. They transform something basic and common into something special and original. 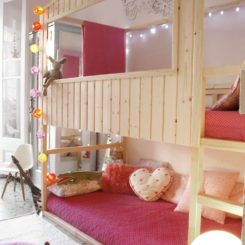 Of course, sometimes it’s also about the cost and a lot of IKEA hacks for kids address this very issue. 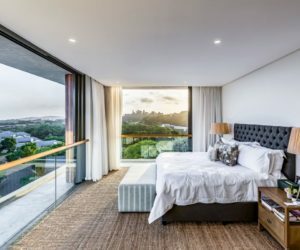 Whatever the case may be, we hope to inspire you with the following projects. 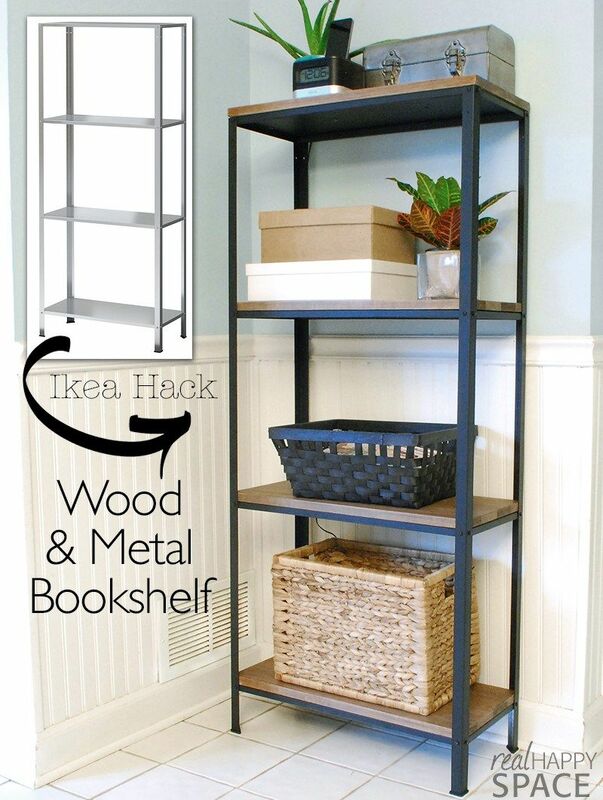 An IKEA hack can refer to any kind of transformation of an IKEA product and is not specifically tied to big pieces like cabinets or sofas. 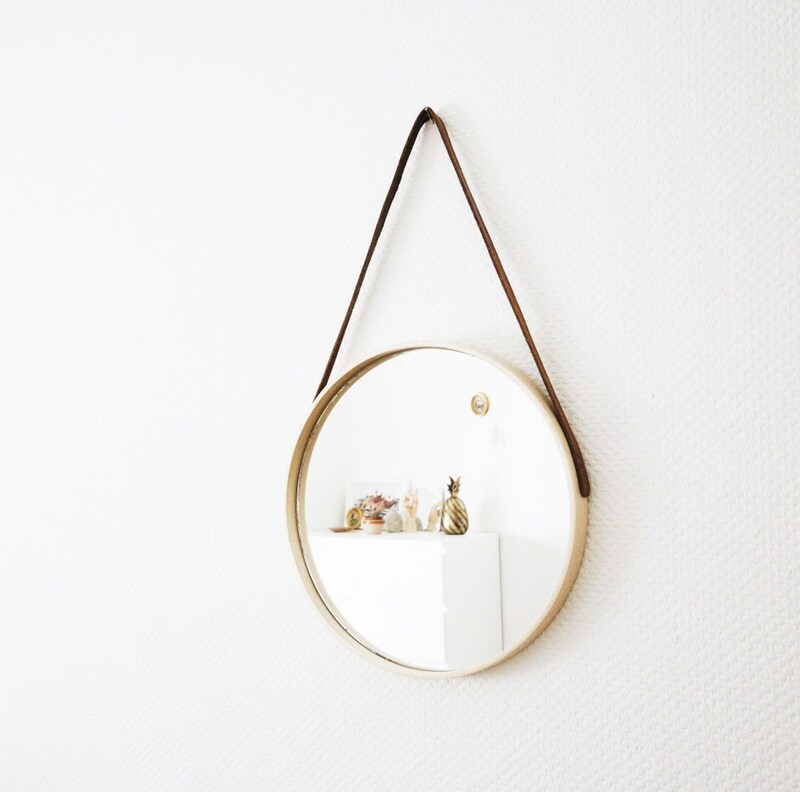 With that in mind, let’s check out this mirror makeover. The project starts with a simple, round mirror and some rope, two large eye hooks, a drill and a ruler/ tape measure. As explained on farmfreshtherapy, it’s a very simple transformation. 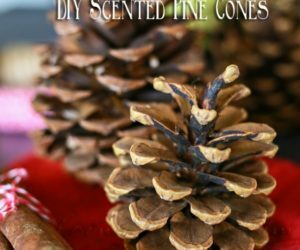 Turn the mirror over, measure and mark two points evenly spaced apart, drill holes in those points and screw the hooks into them, then tie the rope at one end and thread it through, making another knot at the other end. 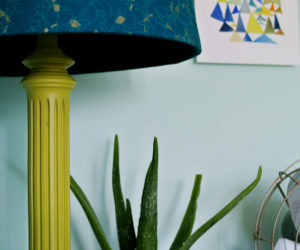 You can find some really cool and affordable stools at IKEA and you can make them even cooler by giving them a quick and easy makeover using no more than a bit of paint and some painter’s tape. 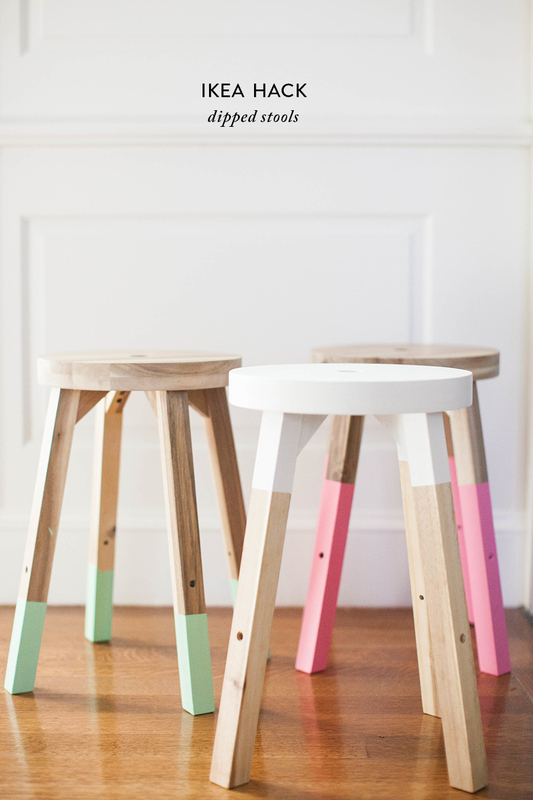 Decide which part of the stool you want to color with paint and apply the tape accordingly. The suggestion offered on stylemepretty is to either paint the bottom of each leg or to paint the seat and the top of the legs. 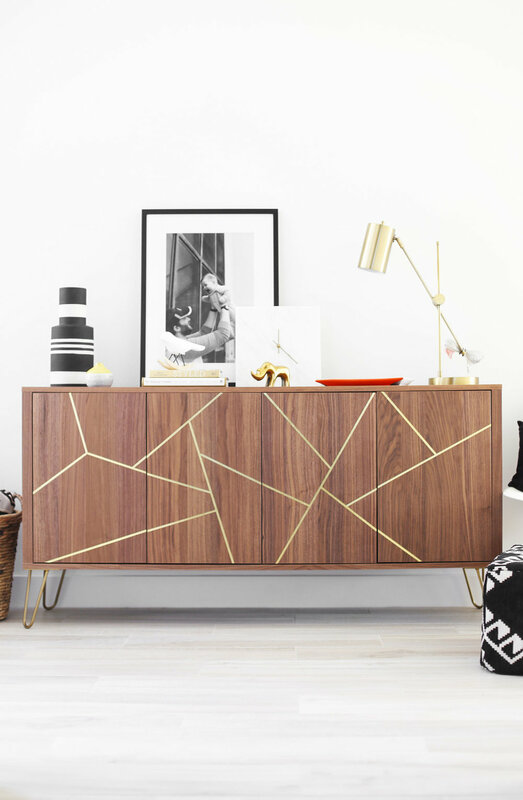 Doesn’t this sideboard look fancy with those hairpin legs and the geometric gold pattern? Well, it’s these very details that were’s part of the original design in the first place. 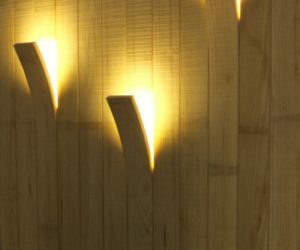 They were added as part of an IKEA hack project. 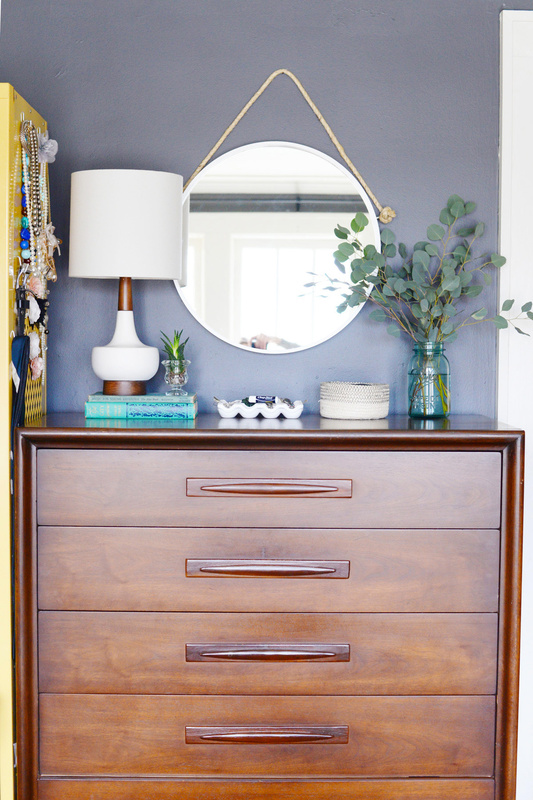 You can do the same thing for your own sideboard or cabinet. 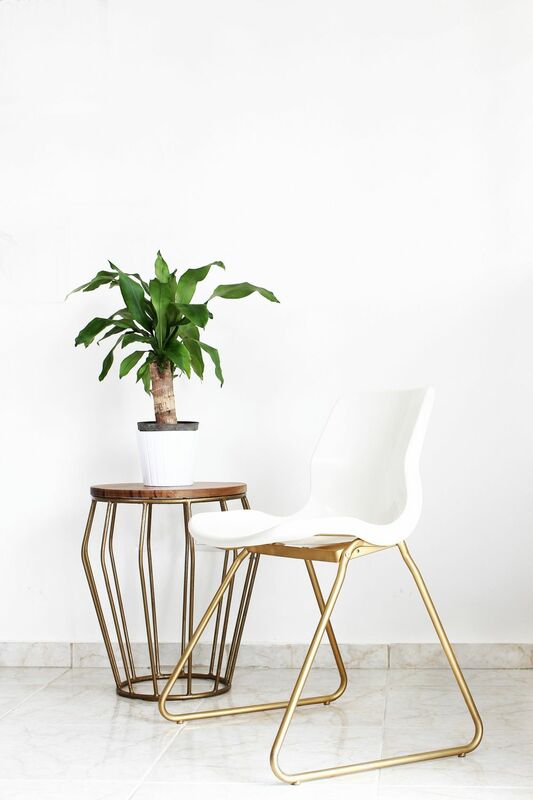 You just have to replace the original wooden legs with hairpin legs made of metal and then use painter’s tape to create the pattern on the doors using gold paint. Find out more about it on kristimurphy. 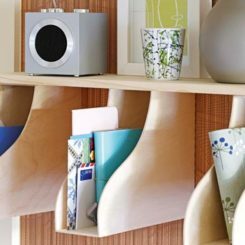 It’s amazing what a few little details can do for the design of a cabinet. Just look at this stylish piece that we found on dupetitdoux. At its base, this is a Kallax bookcase from IKEA. Originally it had no legs and this makeover changes that. 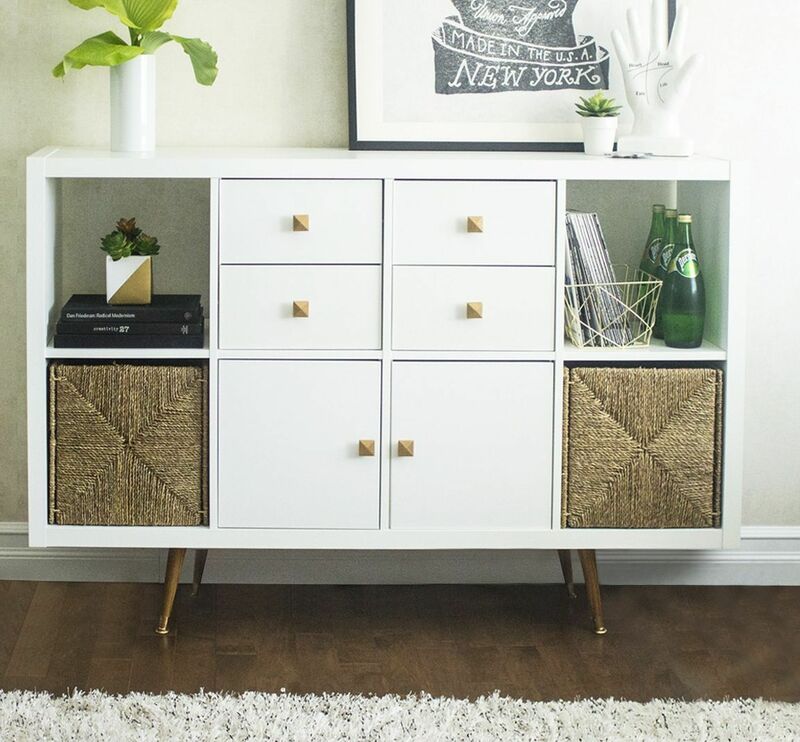 The tapered legs with metal caps give the cabinet a slender and elegant appearance and changes its look quite a bit. Those faceted square-shaped door pulls were also added during the makeover. 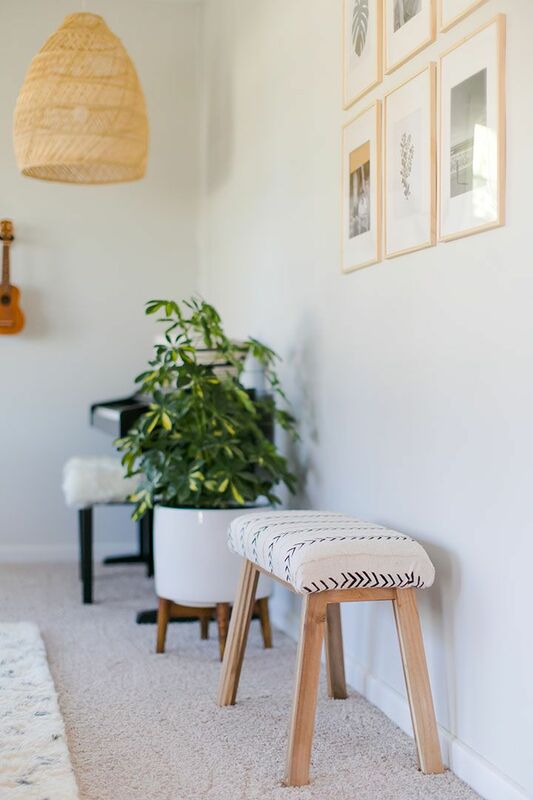 There’s more than one way in which you can transform a simple stool into a chic accent piece. 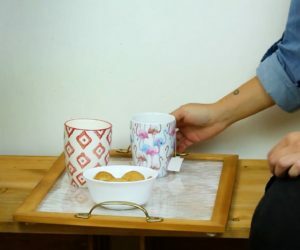 The IKEA hack featured on thekitchykitchen reveals one of the options. This is a Marius stool from IKEA. It’s been spray painted gold and its seat was wrapped in sheepskin. It’s a very easy and quick transformation and one of the most inspiring ones so far. There’s a lot you can do to beautify a mirror. The easiest option is to just give it a new frame but then again what if you want to give up the frame altogether? 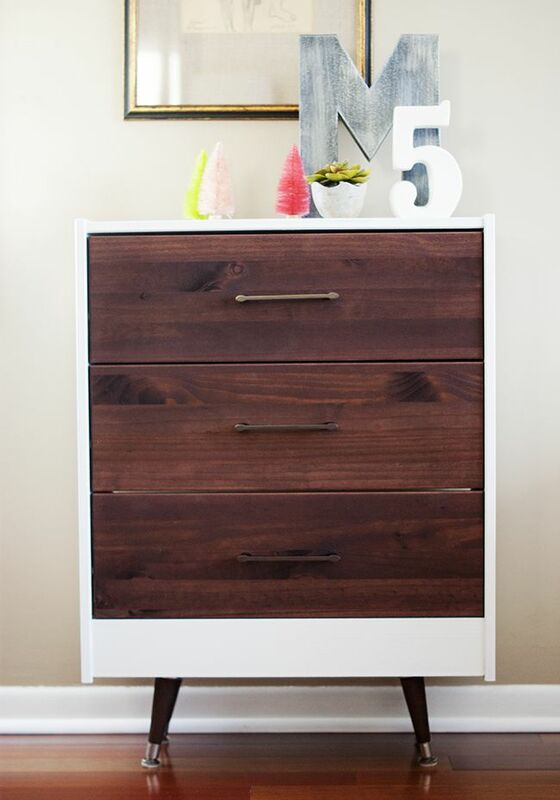 Well, in that case you should check out this cool IKEA hack project from thethingshemakes. The first step here was to remove the frame and to clean the mirror thoroughly. Then trim tape is used to cover the edges, sort of like a frame but not quite. 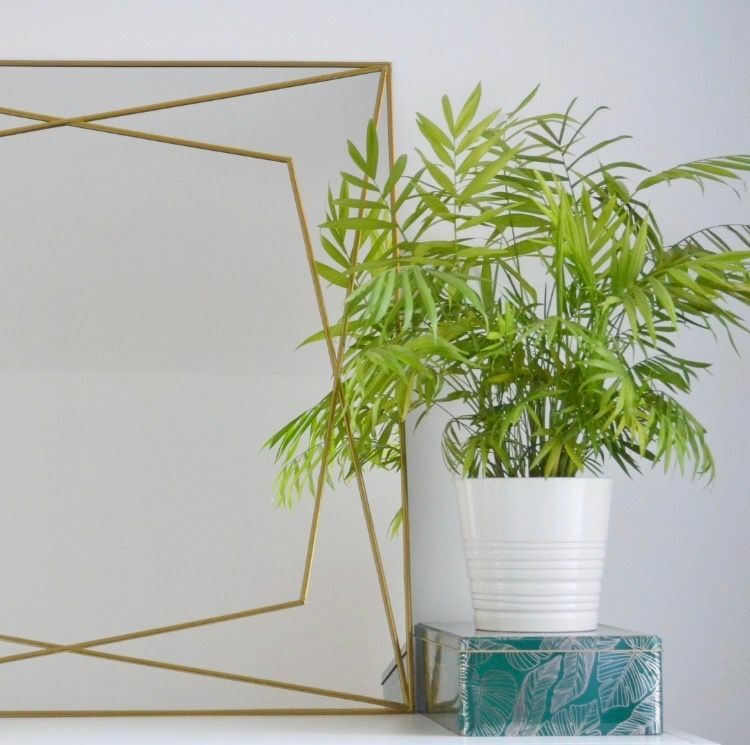 More trim tape is then used to create the geometric pattern onto the surface of the mirror. A nice and easy way to customize a bench and at the same time to make it more comfortable is by installing upholstery on it. That’s what aliceandlois teaches you how to do. 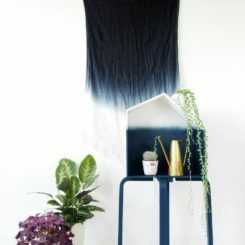 If you like the look, this is what you’ll need to make a similar transformation: an IKEA bench, 1” foam, a staple gun, lining fabric and mudcloth. 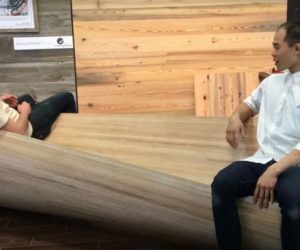 Of course, you can use any type of fabric you want and you can also paint or stain the bench if you want to change its look even more. You thought we were gonna say something about that chair, didn’t you? Well, as pretty as it is, what we’re actually interested in right now is the desk. It started out as two separate IKEA Rast cabinets. 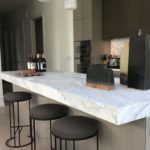 They were each stained, painted and got new hardware (those cute little drawer knobs) and then they became the supporting base for the top that connects them and turns them into a desk with lots of storage. We found this cool conversion idea on pmqfortwo. In need for a stylish new cart to push drinks around with? Go ahead and customize yourself one. It’s more satisfying than buying a finished one plus you get to make it look exactly the way you like it. you could start with a Sunnersta cart from IKEA. 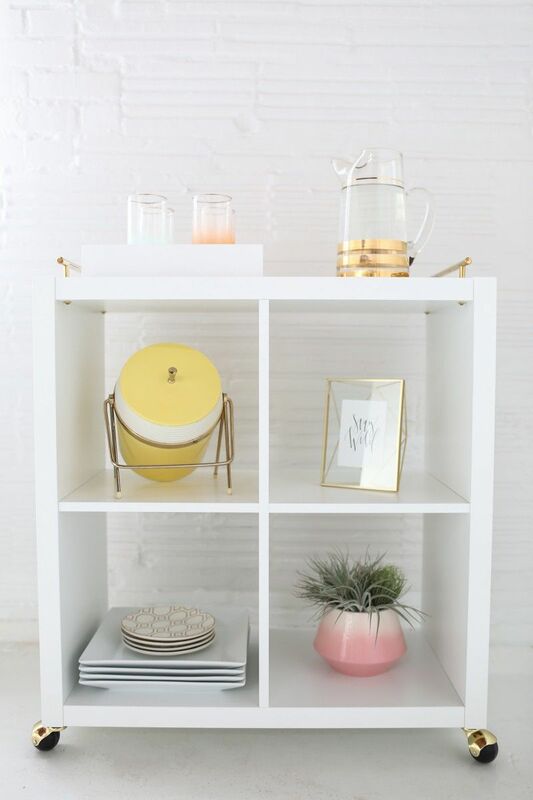 Decorate its shelves with marble contact paper and spray paint the frame gold. Of course, before anything else, you should disassemble the whole thing. It’s all described on musingsonmomentum. 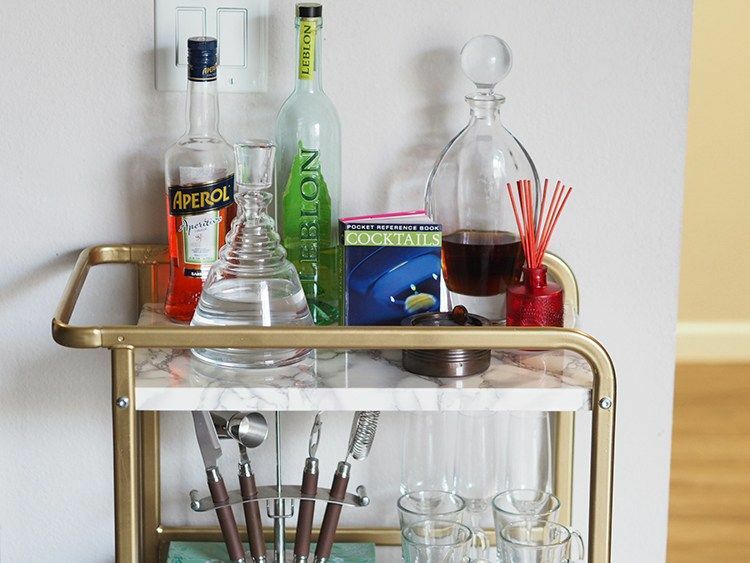 You could also repurpose something else into a bar cart. For instance, an IKEA Kallax bookshelf can be a good choice. It has the right size and the four cubbies are great for organizing stuff on. To actually turn this into a cart, you’ll need to install casters or wheels on it. Check out how chic these golden casters look. They’re actually painted gold, the same as those two brass pulls installed on the top. Check out the whole story on sugarandcloth. 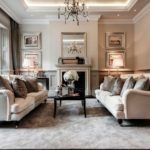 Finding the right piece of furniture for a particular space is pretty hard, especially when the space is small and there are already a bunch of other room elements that you need to take into consideration. 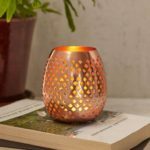 Let’s say you need something for the corner of a dining room or kitchen and you have a small budget for the project. 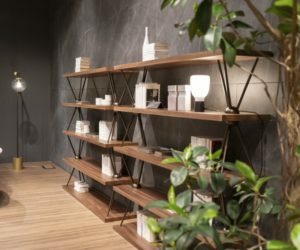 Start off with a Hyllis shelving unit and customize it to match your space. 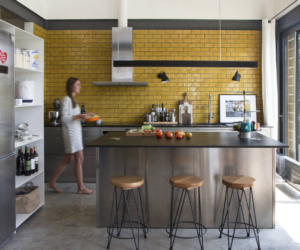 We love this elegant industrial look showcased on remodelaholic. All it took to get it was some matte black spray paint and a few wood planks. 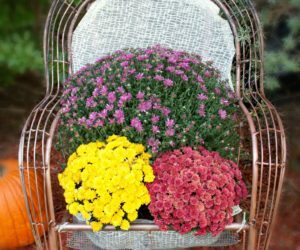 The IKEA hack featured on thekeyitem shows you how to transform a chair from boring to chic and glamorous. 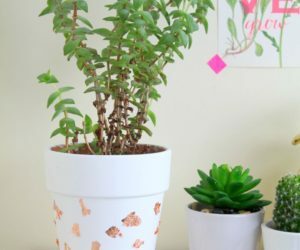 It’s an easy project for which you only need some gold spray paint and a piece of faux fur. Take off the seat and spray paint the base. Put the seat back on and throw the fur on it. It doesn’t really get any easier than that. There’s a number of chairs which you can use for this project so check out the IKEA catalogues to find your favorite one. 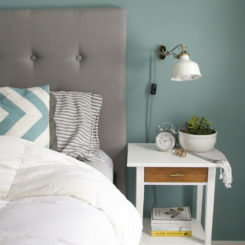 IKEA is also the place to go to when you need a nightstand and if you want to make things special just look for something simple that can be easily customized, like a Tarva nightstand. If you like the way it looks here, check out remodelaholic for all the details. We can give you a hint regarding the supplies needed for the transformation. 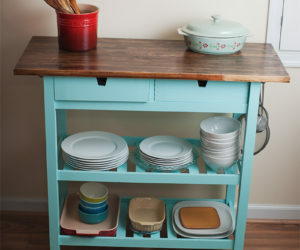 They include white acrylic latex paint, dark walnut stain, brushes, a drawer pull, a miter saw and a drill. This mirror didn’t come with a frame initially. The frame you see here was actually a tray. Curious how these things were put together? 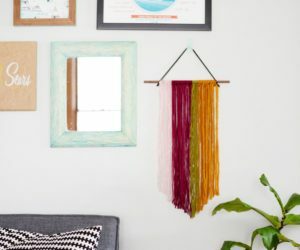 Check out the suspended mirror IKEA hack from ikeahackers. This is what the project requirements are in terms of supplies: a PS 2014 tray (or a similar one), a mirror cut to size, special mirror glue, small nails and an old leather belt. 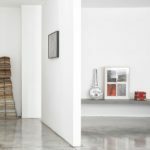 There are a few models to choose from when it comes to dressers and small cabinets. 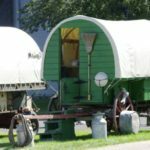 For instance, IKEA offers the Rast, Ivar, Kullen or Tarva along with a few other products and any of these can be customized in all sorts of cool and fancy ways. 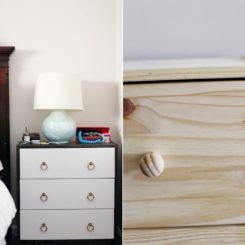 For example, one idea is to leave the wood raw and natural and to decorate the front of the dresser with tape or paint stripes. 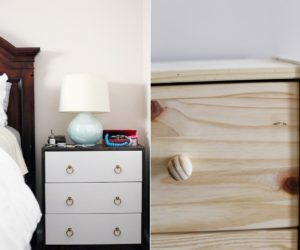 On top of that, this chic IKEA hack from kristimurphy also gives the dresser new hairpin legs. 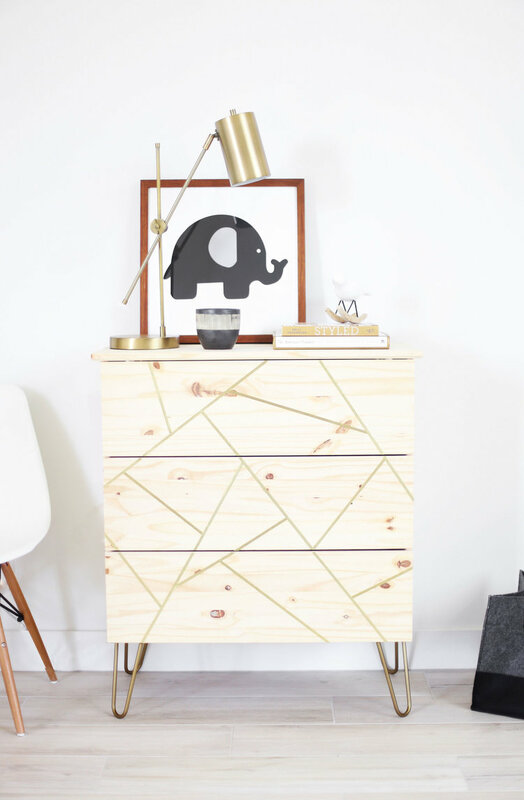 Now how about a cute sideboard with a little bit of retro charm? You’re probably not going to find one in stores at a reasonable price so it’s better to just build your own. Start with an IKEA Best shelf and install two white doors on it. You should also install some cute little legs too and don’t forget the little things, in this case the door knockers which serve as door pulls. Isn’t this look charming? The idea comes from sugarandcloth. 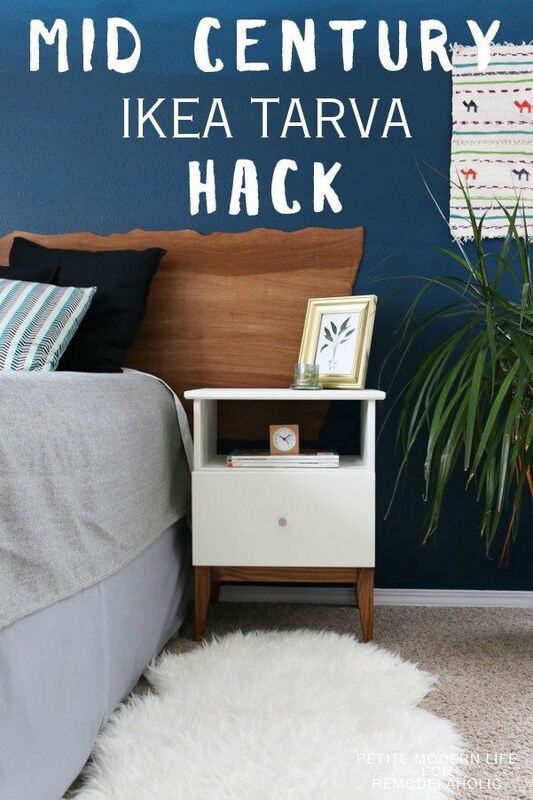 Some IKEA hacks are so simple anyone could do them. 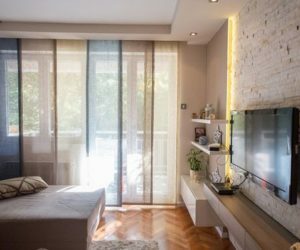 One example is the project shared on preciouslyme. 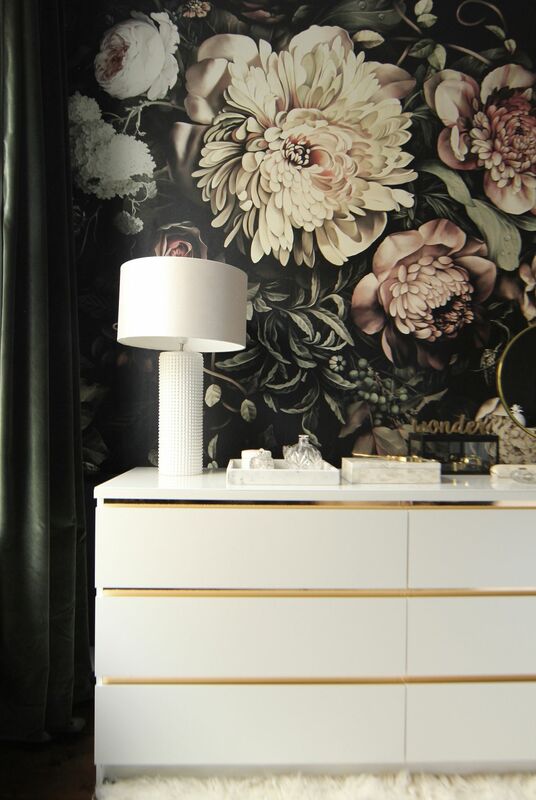 If you like the look, here’s how you can create it: get a Malm dresser from IKEA and a roll of gold contact paper. 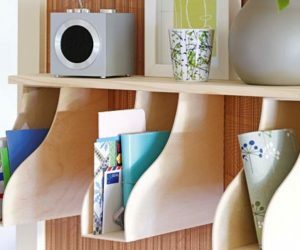 Cut strips of contact paper and stick them onto the edges of the dividers, the ones that are visible between the drawers. That’s the whole project. IKEA cabinets like the Rast are perfect blank canvases for all sorts of awesome DIY projects and hacks. 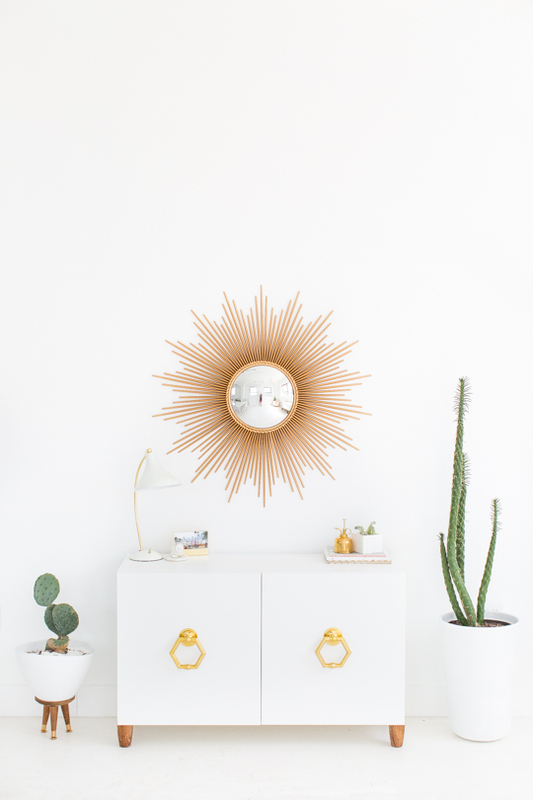 The whole point is to take this raw and inexpensive piece of furniture and to make it look glamorous. The trick in this case was to stain the drawer fronts dark brown and to paint the frame white. This way a strong contrast was created. The drawer fronts match the tapered legs and that’s a really nice touch. 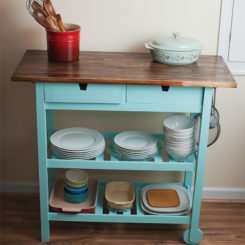 Check out the whole story of midwesterngirldiy. 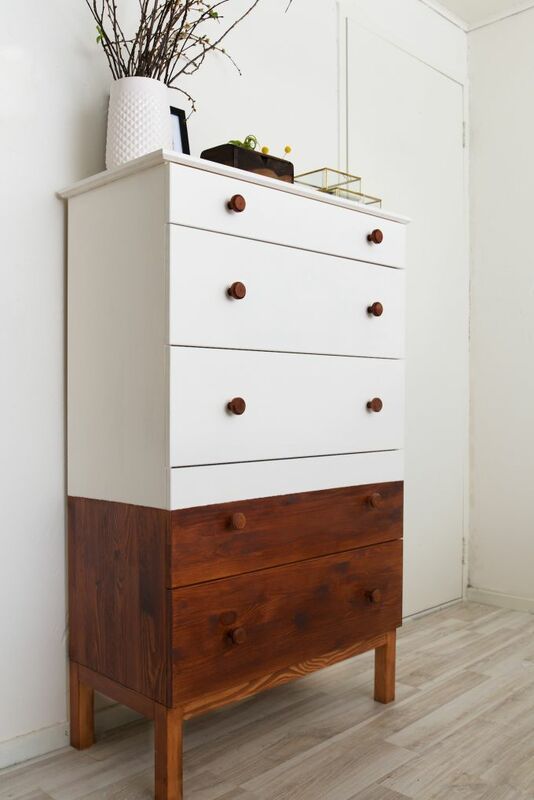 A similar contrast of colors is also featured by this customized IKEA dresser featured on Acupoflife. The interesting thing here is the fact that the legs and the bottom portion of the cabinet (the bottom drawer and 2/3 of the one above it were stained while the rest was painted white. The knobs are brown on all the drawer so that’s a constant.